Large cards show a head, mid-section or legs and feet of someone from the circus. 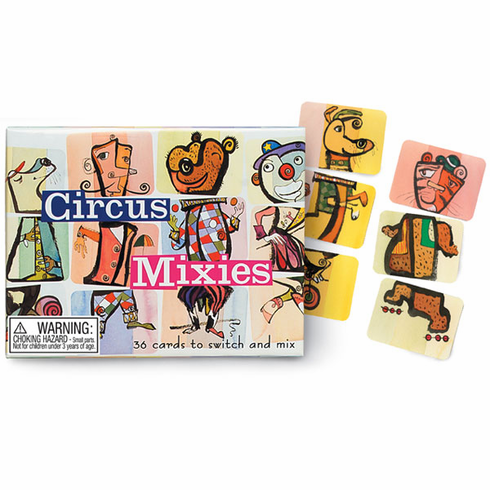 Match to build a clown, the ringmaster, and a balancing seal or mix them up for a tight-rope walking bear or a lion selling soda-pop on a unicycle! Cards are 4.5" x 6".